Our current production of The Magic Flute wraps up this Saturday, and our blog series of Q&As with artists still hasn't made it through everyone in this very large cast. But today we bring you two more players in Flute, both of whom also were Seattle Opera Young Artists this season: tenor Eric Neuville (First Priest) and bass Erik Anstine (Second Priest). Check out what they had to say about their roles below, and take note that if you haven't yet seen Flute, there are only three performances remaining. 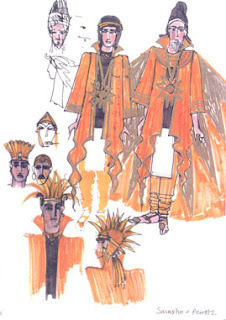 To the right, a costume sketch for Sarastro and his priests, by costume designer Zandra Rhodes. In your brief duet, “Bewahret euch vor Weibertücken,” the two of you warn Tamino and Papageno to watch out for women. Have these priests been badly hurt…or are they just jerks? ERIK: I think that’s an unfair question. The priests’ attitudes toward women come from the philosophy of the temple. In the finale of Act One, Sarastro gestures while lecturing about how women, without the guidance of men, will tend to step out of place. The women of the chorus fall to their knees in deference at this comment. The two priests are starting to indoctrinate Tamino and Papageno in the temple’s attitudes toward women. ERIC: I think the priests take pleasure in scaring Tamino and Papageno, but keep in mind, these two priests were the first to speak up against allowing Tamino to take the tests in the first place. So perhaps they knew they would have to be babysitters and are just annoyed with the whole situation. Erik Anstine (Second Priest) and Philip Cutlip (Papageno) in The Magic Flute. In Act 2, as Tamino and Papageno undergo the brotherhood’s testing, you each take one under your wing. How does that play out? 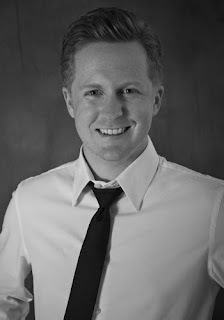 ERIC: I'm very fortunate to be the Priest responsible for Tamino on his journey, as Mr. Anstine gets stuck with the "flighty" one. Talk about a pain in the tail-feathers! 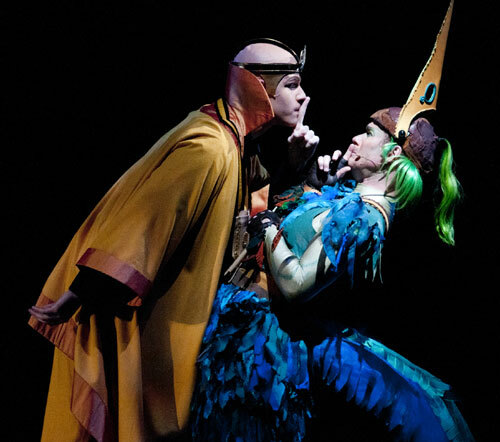 ERIK: The Second Priest is disappointed at having to deal with Papageno, yes. While Tamino answers all questions correctly, stays silent, and undergoes the trials, Papageno only wants a glass of wine, or spends his time talking and making life difficult for the Second Priest. 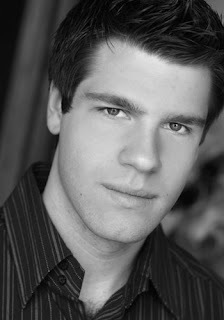 Eric, you and Erik Anstine both performed in the Young Artists Program production of Don Giovanni earlier this spring. How do these two Mozart operas compare to each other? The first thing that comes to mind is the nature of the stories. Don Giovanni feels very real; one can easily sympathize with a character like Donna Elvira or Leporello. The Magic Flute is a fairy tale. I mean, when is the last time you were forced to do secret priest tests in order to impress daddy enough to get a first date with a girl who's picture you fell in love with after being rescued from a dragon? Marcy Stonikas (Donna Elvira) and Eric Neuville (Don Ottavio)--both Seattle Opera Young Artists--in this spring's YAP production of Don Giovanni. In The Magic Flute, Stonikas makes her mainstage debut in The Magic Flute, as one of the Three Ladies. Erik, congratulations on your mainstage debut with this production. Does it feel like an arrival for you? Thanks! After two years in the Young Artist Program and watching singers perform on the mainstage, I’m really happy to get up there myself. Singing at McCaw and being in a mainstage production has felt like a natural progression from being in the amazing program here. Of course I had some nerves on opening night, but I have felt incredibly prepared throughout the process, thanks in no small part to the terrific training I received here. As opposed to being coddled or treated like students, we were treated like real professionals in the program. We were expected to behave and perform at an extremely high level. Being under that kind of pressure really prepared me for being on the mainstage and has meant that I’ve been able to enjoy my debut. I’m also really glad I’ve been able to share this production with Marcy Stonikas and Eric, my fellow two-year YAP veterans.